We're creating a place which brings out the best in people. An incubation chamber for magic. A safe haven. A collaborative working environment and a community hub with an edge. The YesBus will be based in the green hills of Sussex on the outskirts of London, offering a delicious fusion of co-working space and countryside escape. Yoga studio, cinema, speaking venue, kitchen, cafe, adventure library and a well-designed outdoors space that will take you right back to childhood holidays. Table tennis, anyone? We've been converting the bus for a year and now we've shown that we mean business we're crowdfunding to cover the full conversion costs, prepare the land around the YesBus and launch the project strongly in the second half of 2017. The YesBus will be a modern tech hub, using an off grid mix of solar and wind energy to power the entire site and show off just how effective off grid power can be when used well. We’re creating the perfect multifunctional programme, just as 'at home' when introducing inner-city school kids to the countryside as it is as a base for start-up founders and team building for forward-thinking companies. Fully kitted out with high speed wi-fi, projector systems and bluetooth surround sound, the bus will be a haven for doing good work but sometimes we’ll just switch it all off and create a digital detox den - just the ticket for a weekend of quiet relaxation away from the busyness and stress of the city. We believe in the inspirational power of taking a familiar concept and turning it into something new. 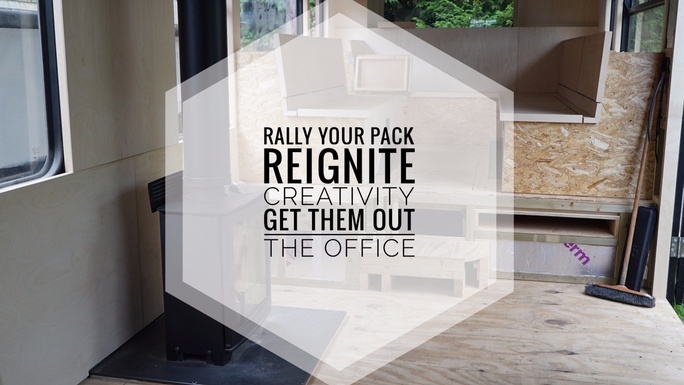 An out-of-the-box decision is inspiring in itself and spending time inside a unique, creative space helps us come up with innovative, exciting ideas. The YesBus is also a perfect example of what you can achieve by being smart with space-saving furniture in a limited environment. A surprise around every corner, every feature of the bus will have at least two purposes - it really has to earn the right to be there! We are SayYesMore, a social enterprise that nudges people towards finding out what they’re really capable of. Our global community, the YesTribe, began in June 2015 with a single invite on Facebook to go camping for one night, and from those first 19 people we’ve grown to a family of over 4000, held two life-changing Yestivals and organised over 100 other events which have inspired, motivated and broken down limitations. We are founded on the basic principles of opening doors, opportunities and friendships by saying YES, spending time with positive, supportive, like-minded people, and getting outside as often as we can. There is no political, religious or ideological motive to this project. We just want to create a better world than we find ourselves in, make the most of our time and be around people who motivate us. Simples. Since buying the bus in Spring 2016 we’ve been laying the groundwork, flattening out floors, running wires, insulating walls and designing every little detail with the finished product in mind. We’ve also sourced a wonderful land partner at Brinsbury campus in Sussex so the YesBus has a home for the next few years. This isn’t a pipe dream; it’s reality. £48,000 will not only help cover the cost of converting a regular bus into a space that will do endless good for our community, but it’ll enable us to prepare the land and create it's new home. Here's an idea of how your money will help us. Your donations will be rewarded with unique perks, many of which will see you joining us at the bus - this is your space to enjoy too! ... not important. It's the journey that matters and this engine is running! This idea is becoming a reality, thank you for bringing it to life. We’re creating the YesBus - an extraordinary hub of positivity where ideas will come to life in a unique countryside setting. So much more than a bus - we need your help to make the wheels go round! 2 x co-working passes & YesBus Membership so you get all the updates from BusLand. 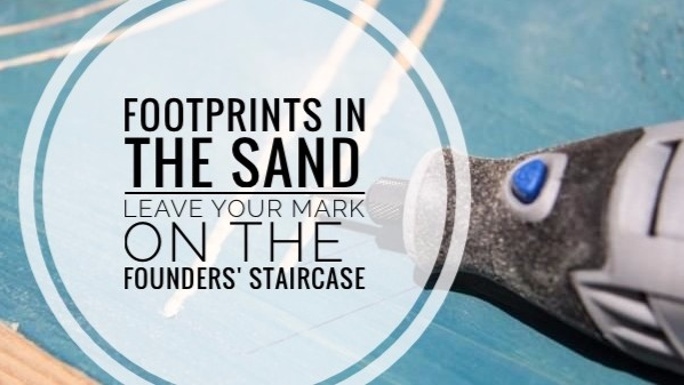 Have your name permanently etched into the YesBus or create a legacy for someone else and give them the gift of founders wall fame! 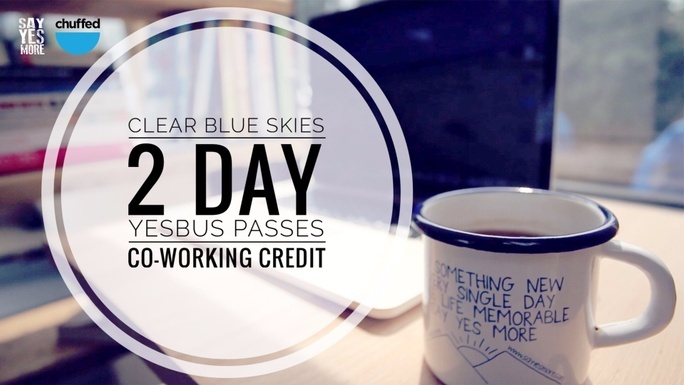 PLUS you get Membership & 5 x Day YesBus Co-Working Passes. Bring your team of up to 10 people to test out the site - inspire your team in the gorgeous countryside! You'll have full use of the conference facilities, including the kitchen, projector set-up and PA system, plus all of the outdoor space allowing your crew to get back to nature and recharge their batteries. Boom! Get inventive and help us give back to the land. 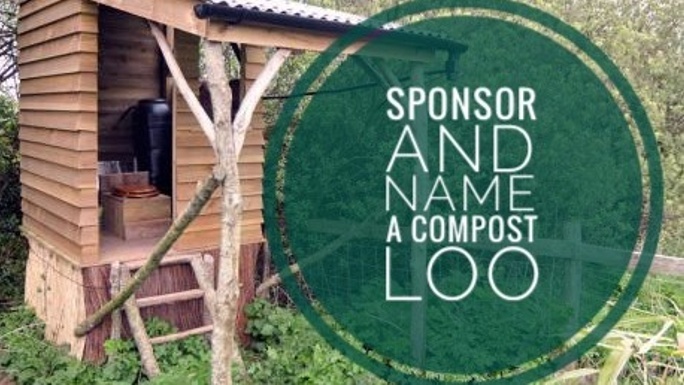 We'll be building a mens and a ladies compost loo on site at the YesBus. What would you name your loo? Trump Tower? The Lady Garden? The Business End? Make your mark on the YesBus site by sponsoring a loo.